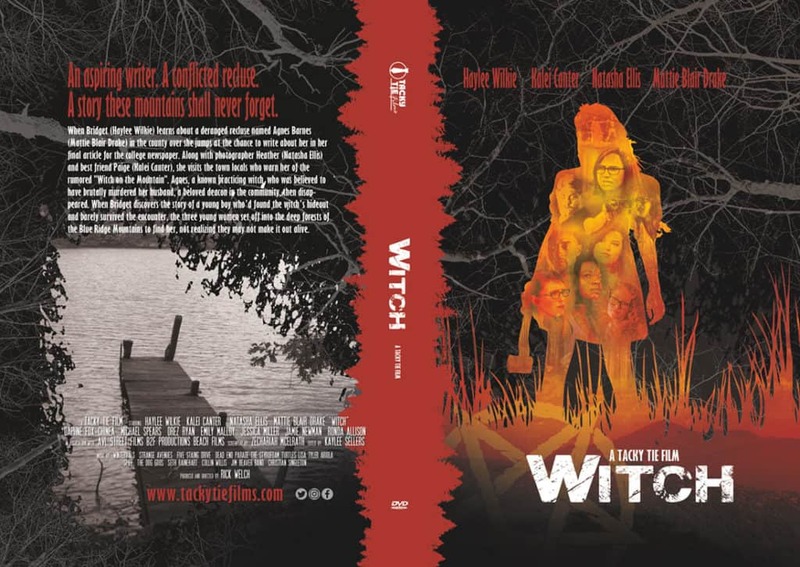 On July 10th, Tacky Tie Films will release their latest thriller, Witch on DVD! The film was released on Friday, October 13th at the Carolina Cinemas in Asheville NC then again during Halloween at Asheville Pizza and Brewing Company. When Bridget (Haylee Wilkie) learns about a deranged recluse named Agnes Barnes (Mattie Blair Drake) in the county over she jumps at the chance to write about her in her final article for the college newspaper. Along with photographer Heather (Natasha Ellis) and best friend Paige (Kalei Canter), she visits the town locals who warn her of the rumored “Witch on the Mountain”. Agnes, a known practicing witch, who was believed to have brutally murdered her husband, a beloved deacon in the community, then disappeared. When Bridget discovers the story of a young boy who’d found the witch’s hideout and barely survived the encounter, the three young women set off into the deep forests of the Blue Ridge Mountains to find her, not realizing they may not make it out alive. 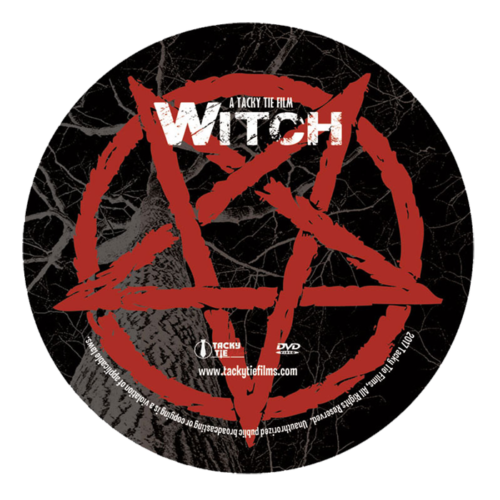 "Witch" Special 2 DVD Set On Sale Now! Tacky Tie Films™ produces quality Christian films in a unique genre. Based in the mountains of scenic Western North Carolina, Tacky Tie Films creates suspense/thriller films with a message. Our unique approach to sharing the “Good News” has created a strong following and a very special cadre’ of gifted artists who are committed to honing their craft. Don’t miss out on any of our special promotions or mail list member discounts. Sign up today for our email alerts and special offers for mail list subscribers only. Thanks for subscribing! Please check your email for further instructions. Check your junk mail if not found.